Pre-Registration has closed. We would still love to see you tonight, walk-ins welcome! 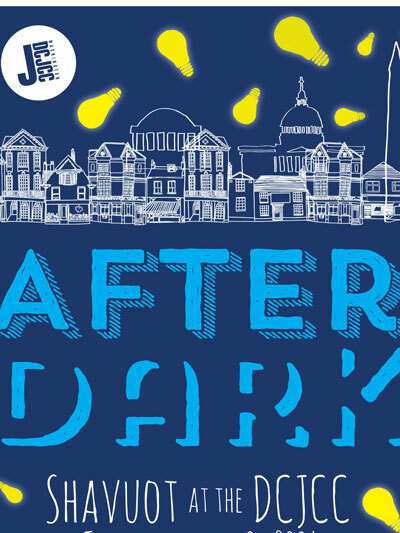 Join us for After Dark, our version of a Shavuot experience for young professionals, featuring delicious desserts, engaging conversations, and great people! 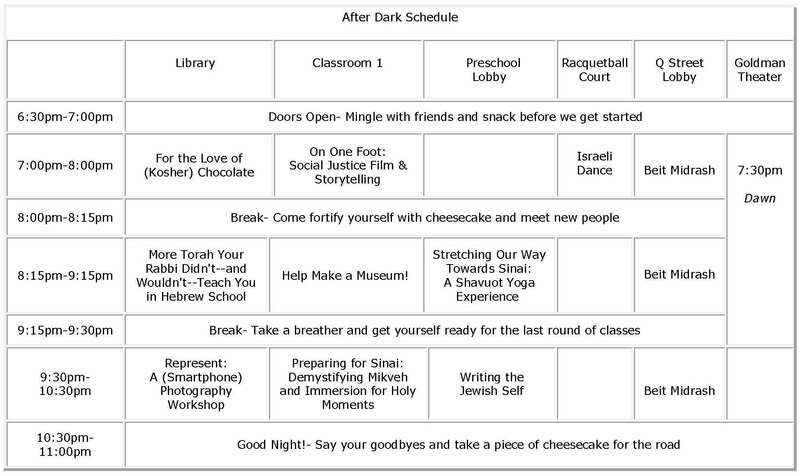 We’ll have traditional Shavuot treats (think ice cream sundaes and cheesecake) on hand to keep you going and plenty of time to make new friends. Please note Shavuot begins Saturday, May 23 this year. 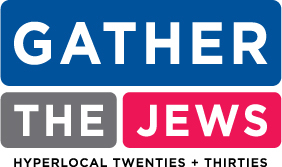 The Society is planning a new regional Jewish museum (projected opening 2020), and needs YOUR help deciding which stories and objects to highlight in the core exhibition! This workshop will include a series of activities designed to get you thinking, talking, and sharing your ideas for this new project. Celebrate the joy of Shavuot through dance! Learn some of the basics of traditional Israeli folk dancing and try out some dances for yourself. Come with your friends excited to dance and have some fun. No previous dance experience necessary. Torah is full of stories, not all of them cute and innocent. Together we’ll explore a few of the more troubling of these stories to see what they can teach us about our understanding of God and humanity. Bring only your own opinions (or those of a friend). How did the ancient Israelites prepare to receive the Torah at Mt. Sinai? How does Jewish tradition provide opportunities and practices for marking sacred time? How do you prepare for or mark momentous occasions in your life? Learn about the role of mikveh immersion as a ritual for life transitions and preparing for holy moments. No prior mikveh knowledge neccessary, all are welcome. How do we make sure we’re all "seen" in our phone's camera roll? This workshop will show us how to take a great shot while capturing our own unique stories. Too often, LGBTQ Jews and so many others- interfaith, Jews of color, Jews by choice, working class Jews- are left out of Jewish narratives. Using prompts related to the themes of Shavuot, we’ll practice the photography tips, tricks, and techniques that ensure we’re all part of our community’s photo stream. Join Sara Shalva for an engaging session combining Torah study with traditional yoga postures and breathing. Fusing these two ancient traditions, the class will include a meditation, a standing series, a text study and a floor series. Be sure to wear comfortable clothes and bring water. If you have your own mat please bring it, we have a limited supply of yoga mats available. Many Jewish authors, such as Judy Blume, Michael Chabon, Philip Roth, and Lena Dunham, have reflected on how their Jewish identity and upbringing shaped their identity as writers. In this creative nonfiction workshop you will begin the process of crafting a personal narrative about the unique ways you identify as Jewish. We'll explore the question of what makes a text "Jewish" and consider how writing can open up greater opportunities to both reflect on and share our unique stories. Two men wait through the night in British-controlled Palestine for dawn- and for death. One is a captured English officer, the other is a young Israeli freedom fighter whose assignment is to kill the officer to avenge the British execution of a Jewish prisoner. Based on Eli Wiesel’s best-selling novel. The screening will be followed by a Q&A with Director Romed Wyder. Co-sponsored by the Embassy of Switzerland. This program is at 7:30pm and has a required ticket fee- click here to purchase a ticket. Pre-Registration has closed. We would still love to see you tonight- walk-ins welcome!